Iron Gate releases have increased to 1,680cfs and with the cold water pulse coming from the Trinity, we should see some movement of salmon on the Lower Klamath which means that fishing should pick up in the Weitchpec area. The increase of water flows from Iron Gate should really open up the bite for trout in the Happy Camp to I-5 area. I can only see better fishing as the river flows increase and the water cools down for the trout fishing and salmon move up the river headed to the hatchery at Iron Gate. Once the fish start to move up the river, places like the mouth of Bluff Creek, below Slate Creek, as well as the cold water from Hopkins Creek, are going to be the hot spots for fishing. Iron Gate Dam releases are 1,680cfs. Seiad Valley is 3ft at 1,870cfs. Happy Camp is estimated at 1,910cfs. Somes Bar is estimated at 2,160cfs. Orleans is 3.6ft. at 2,270cfs. 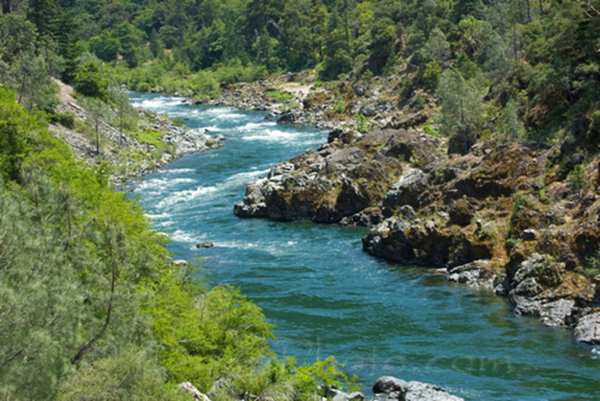 Klamath River at Terwer Creek is 8.1ft at 2,390cfs and water temperatures of 72.7 degrees. Flows at Smith River, Dr. Fine Bridge are 4.8ft at 251cfs. Temperatures in the valley last week were 105/58 degrees with 0.00 inch of rain with a season total of 80.05in of rain and 1.35in. of snow. Temperatures in the valley next week are expected to be 95/55 degrees, with sunshine all week.